The Philippines is made up of 7,107 islands covering a land area of 115,739 sq. m. (299,764 sq. km.). Main island groups are Luzon, Visayas, and Mindanao. Capital is Manila. Time Zone is GMT + 8 hours. The Philippines (Filipino: Pilipinas, officially known as the Republic of the Philippines, Filipino: Republika ng Pilipinas), is an island country located in Southeast Asia with Manila as its capital city. The Philippines comprises 7,107 islands in the western Pacific Ocean, sharing maritime borders with Indonesia, Malaysia, Palau, the Republic of China (Taiwan), and Vietnam. There are more than 11 million overseas Filipinos worldwide, about 11% of the total population of the Philippines. It is a multi-ethnic country. 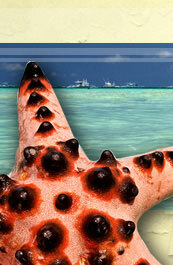 Ecologically, The Philippines is considered to be among 17 of the most megadiverse countries in the world. The Philippines is a newly industrialized country with an economy anchored on agriculture but with substantial contributions from manufacturing, mining, remittances from overseas Filipinos, and service industries such as tourism, and increasingly, business process outsourcing. The Philippines is listed in the roster of the "Next Eleven" economies. With 7,107 islands, and a coastline twice the length of that of the United States, the Philippines can claim to be Asia's Beach Capital. 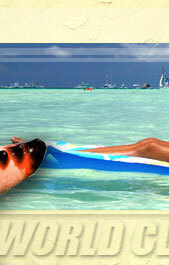 Enjoy the warm crystal blue waters of both the China Sea and the Pacific Ocean. Mention the Philippines and images of long, white sand beaches and bodies of water blessed with a variety of marine life come to mind.